The simple joys of domestic sobriety fit Chris Gates like a trucker cap. 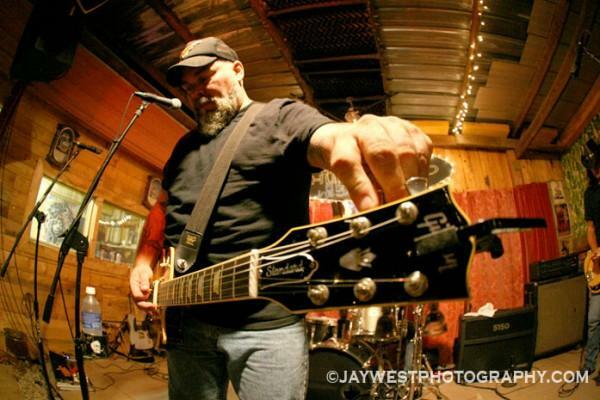 A former punk-rocker and recovering blues-metal hellion (in the Big Boys and Junkyard, respectively), the Austin singer/songwriter/guitarist now resides in Gatesville where family, glory days and backyard barbecues are all the talk of the town. 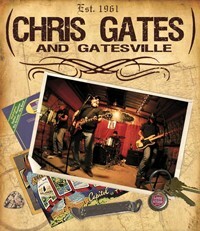 “Welcome to Gatesville,” the second album from the big guy’s namesake band (due Sept. 16 with bonus tracks available to advance purchasers), follows in the footprints of Gatesville’s debut, “Ain’t it Grand,” meaning it would be right at home alongside fellow porch-strummers like Skynyrd, Steve Earle, the Outlaws, ZZ Top, Marshall Tucker and the Allmans (with maybe Mellencamp sitting in for a spell). It’s roadhouse music so dusty and weathered, you can practically hear the dance floor creak. In guitar ace Tony Redman — a deadly dexterous chicken picker whose volume-knob nuances and slippery slide could raise every eyebrow in Nashville — Gates has a surefire shootin’ partner who can make a guitar twang or weep like nobody’s business (check out the Allmans-meets-Thin Lizzy guitar duel on “Broken Hearts & Faded Pictures”). The newest neighbors in Gatesville are no slouches either. On drums is Gentlemen’s Social Club stickman Paul Soliz (who is best appreciated live). On bass is one-time Juggernaut headbanger Scott Womack, who steps in for Bobby Daniel, recently departed for Alejandro Escovedo’s band. Guesting on piano and organ is former Santana and Journey singer/keyboardist Gregg Rolie, whose son Sean recorded “Welcome to Gatesville” in his Dripping Springs (TX) studio. For all of Gatesville’s musical precision, the group’s most distinctive feature is Gates’ gravel voice. It sounds like it’s been ravaged by decades of nicotine (a vice long gone) and when paired with the band’s deft ability to emote through music, Gates’ grizzly bear wheeze is a thing of battered beauty. If the song is a swaggering boogie (“Lowdown and Dirty”) or a cautionary tale from yesteryear’s dark side (“Devil’s on My Trail”), Gates barks and huffs like a biker prowling for trouble. When he wants to bring the pain (“Forever Came Today”), Gates’ gruff gargle twists like a balladeer’s blade through your bleeding, broken heart. Somewhere in the middle, Gates’ aw-shucks personality whoops like a good-hearted howdy (“Those Were the Days”). Upbeat or beaten down, the moods hit like gut punches. For a guy who’s been around the block, Chris Gates settles nicely right back where he started. Home. Austin. Texas. “Welcome to Gatesville,” indeed. Ya’ll come back, now! The song below is actually ‘Devil’s on My Trail’ despite being labelled “Broken Hearts & Faded Pictures.” Below that you can see Gatesville doing the Junkyard classic, “Simple Man.” Enjoy!